It is one of the best sailing cruises you can do, all over the world. The cruise by itself is exceptionnal. 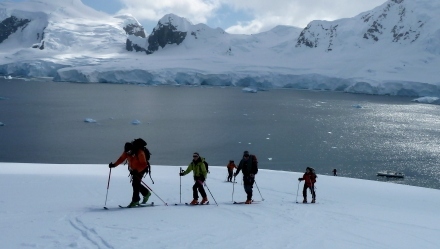 But you will ski with our 2 mountain guides in outstanding places. First we will sail from Ushuaia (Argentina) to Puerto Williams (Chili), which is 4 hours far (we just have to cross the Beagle Channel). Mandatory stop to the famous bar "Micalvi" ! 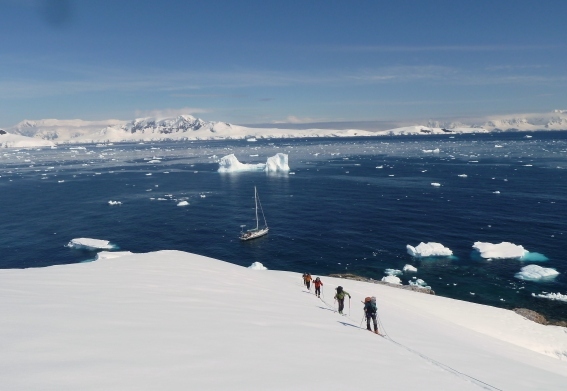 We will then make a stop in the Wollaston archipelago, very close to the Cape Horn, which is the ideal place to wait for a good weather forecast to sail to the Antarctica Peninsula. As soon as we have a good the weather window (at least 3 days of nice weather), we start to sail the Drake Passage, that we can cross in 2,5 to 3 days with TARKA. Sleeping bag, sea clothes, boots, sunglasses, rando shoes. + special equipment for skiing. You won t believe your eyes. Plan to take a lot of pictures and vids to keep the memory of these magical moments, with the whales, the pinguins, the sea lions, the albatros,... and of course these ice monuments , the icebergs. For this special cruise, we will choose particular moorings, to be able to organize skiing. If the icepack is not too compact, we will try to cross the polar circle, before sailing back to the north of the peninsula, to Melchior Archipelago. This mooring is one of the bests to wait for the good weather window to sail back to the Cape Horn and Ushuaia. 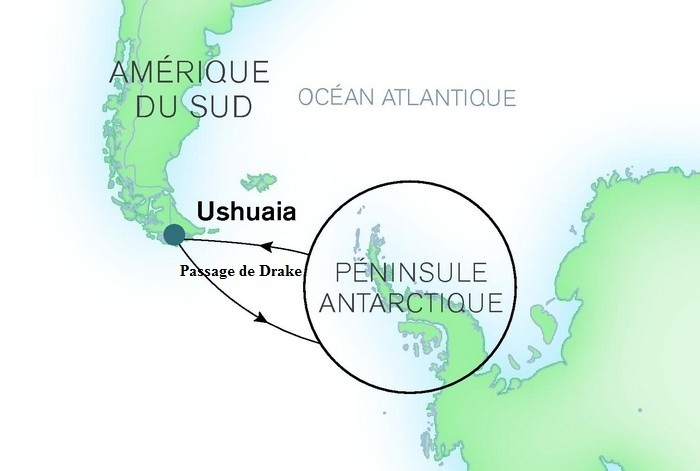 Because of the impredictible weather for the return (Drake Passage, from Antarctica to Cape Horn), you should take a refundable flight ticket.